It has been just two days since the most loved president of India APJ Abdul Kalam passed away & now former president Pratibha Devi Singh Patil is in news for bad reasons. 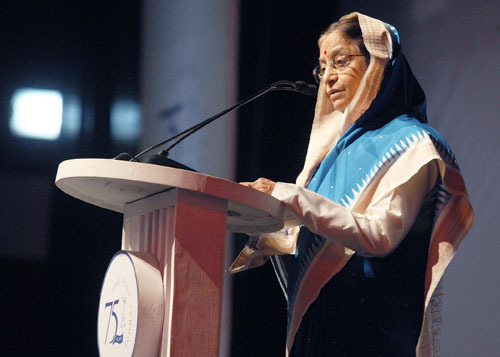 The nation is still not out of the shock that Abdul Kalam is no more and and while the nation mourns for the most loved politician, former president Pratibha Patil puts forward her demand to central govt. Reports from media suggests that Pratibha Patil wants an Official Vehicle to move out of the city & also wants her car Fuel allowances to be paid by the Government. But as per rules laid down by government this would be a violation of rules as she is already being compensated with fuel allowance from the government for her personal vehicle which she uses to move in and out of her town. Pratibha Patil has been in news after her term as president, where once her son & brother were allegedly involved in a murder, also she once had to face trial for taking away gifts given during her tenure ^ recently she was in news for demanding Army Land for herself. Strange but true that there was a Man who served as a President but never asked for anything after his term or was never in news for wrong reasons & there is one president who is in news for bad reasons again!! NO WONDER WHY KALAM SIR WAS THE MOST LOVED PRESIDENT!! RIP SIR!! What do you think? Are her demands Feasible? Well…this is comparison & judgmental analysis…the Indian methodology to improve self. They are 2 people who think different, work different. With all due respect to his work & soul, Abdul Kalaam died and that was not a loss of India as a country in any way unless one becomes overly attached to his identity. The lady president, wants something…give it to her. You are compromising comfort level of The president just because she tends to assure herself that she is taken care of? Indian public in general is mainly selfish & arrogant, hence, over 80% population does not have enough to form a single meal in a day. How much is she gonna use as fuel you think? Same is the story with Police officers…the amount of pay they get is RIDICULOUS !! & then Indians expect them to do their job without any bribe? Most Indians think their attitude of bargaining is valid in all walks of life. Give nothing BUT get everything. It does not work like that. The systems in India are compromised, the outlook of a common Indian is compromised. The teachings of Indian parents towards their kids are compromised. Indian parents mostly teach to only compete, win…give no heed about anyone else but self. Most Indian parents want their kids to be Engineers & Doctors…NONE want them to Politician….obviously leaving goons for that. I live outside India…and when I compare the systems and the way common man thinks. It is so so different. General public in India does not know forgiveness, acceptance, kindness…When writing words, they all talk very nice. But hardly any one matches up in action. Don’t get me wrong, there are lots whom I respect very very much but their numbers when compared to Indian population are negligible. Once again, don’t get me wrong. I am not judging here, although it does seem like that. BUT I only wish to point out what I see. My intention is improvement by awareness. And I do take part in whatever activities I can to bring about changes.